Using an elliptical can contribute to a great cardio workout, a lot of burned calories, and a stronger lower body – without the stress that running puts on your joints. In order to maximize your elliptical workout, though, you should have the right shoes. If you’re not sure exactly what factors to look for in order to find a high-quality shoe to increase the effectiveness of your workout, here’s where you can start. Using the elliptical is a low-impact but efficient cardio workout. One of the top benefits is that the elliptical does not stress your ankles, knees, or hips as much as running. On the elliptical, the pedals glide while performing the same motion as running. You can even go backwards with the pedals, targeting some often left out muscles! But having the wrong shoes could get in the way of your workout. Part of training with the elliptical is dependent on you being motivated, comfortable, and staying injury free. Getting the right fitness equipment and activewear is key to you staying happy and healthy. Many people find that the best two types of shoes to consider when looking for shoes for elliptical use are running shoes and cross-trainers. These two shoes tend to be more versatile, making it easy for you to adapt the shoes to your workout needs. These two types of shoes also generally offer a higher level of support and stability than shoes which are specifically made for other types of athletic endeavors. These two types of shoes are also designed to fit the motions of the ellipticals. Running shoes are made using the consideration that the wearer will be moving in a forward-moving fashion. This movement is typical of elliptical usage. When it comes to shoes for the elliptical, laced shoes versus shoes that close with velcro are dependent on the preferences of the wearer. In the end, both types of shoe are adequate for elliptical training. However, most cross-trainers and running shoes are laced. If you do buy laced shoes for elliptical use, just remember not to lace them too tight. That could cut off circulation to your toes, making for a very uncomfortable workout! Although it does decrease joint stress, utilizing an elliptical can still “shock” your body; this can cause damage if your joints or muscles are absorbing too much of the shock. For the elliptical, you want shoes that will provide cushioning underneath the balls of your feet. This will help you stay stable and comfortable during your workout while helping you to avoid pain. However, you want to balance cushioning with stability. Higher or rounded soles – which some think are more cushioned – can actually be harmful for your workout! They will cause you to be more unstable on the machine. In the end, cushioning is very important to protect you during the exercise process. However, it is okay to have less cushioning on shoes you’re using for the elliptical because it is much more low-impact than road running. Have you ever heard of pronation? To put it simply, pronation is the way that your foot “rolls” or moves as it lands when you’re running or walking. Every single person has a different level of pronation. But when you’re picking out your shoes, it’s important to consider your level of pronation and what you need out of a shoe. 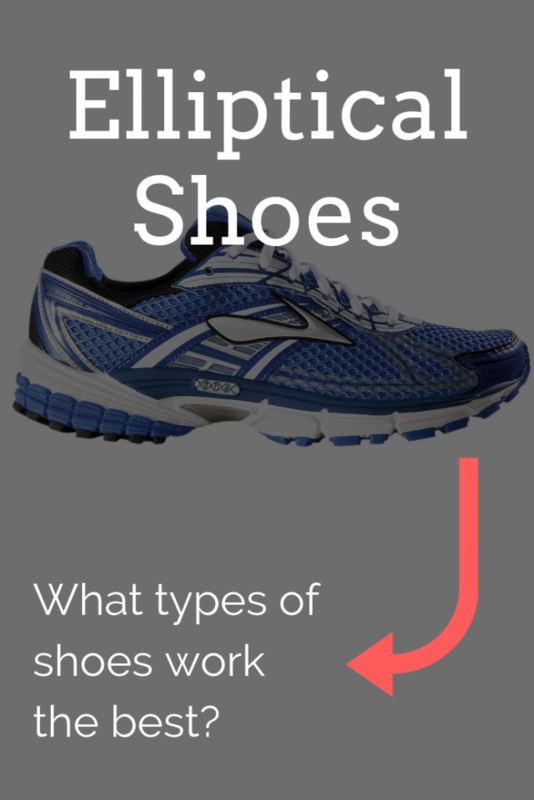 Shoe flexibility is especially important if you are an underpronator (or supinator), because the angle your heel hits the ground can cause a higher level of shock. A flexible shoe will help make sure the shock impact is evenly absorbed, rather than all in your heel. For use on the elliptical, flexible shoes will help absorb shock, offer stability and arch support, and give toes room to flex when pressing down (and relaxing) on the elliptical pedals. 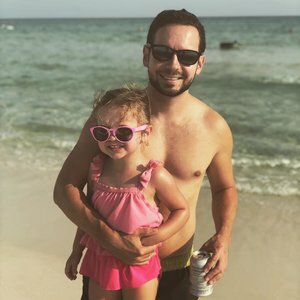 This will help you stay comfortable and supported, and reduce the chance of hurting yourself. Good elliptical shoes will usually be low-top, as these tend to provide better support for feet and ankles. You should also look for shoes with wide and sturdy outsoles, and firm but cushioned midsoles for arch support. Soles tend to be rubber or synthetic material, while midsoles are sometimes made with foam. Now here are some of my favorite shoes that fit these criteria! Any of these would be a great fit for your elliptical workouts. Overview: ASICS Gel-Venture 6 Running Shoes can be used for trail running, road running, and elliptical usage. These shoes, which come in designs for both men and women, are synthetic, low-top, and have rubber soles. These lightweight running shoes come in a variety of colors. They are also built with a GEL cushioning system to reduce shock, as well as removable sock liners. Rearfoot GEL® Cushioning System – this patented ASICS technology helps increase comfort and reduce shock impact during your workout. Traction – the bottom of this shoe is grippy, making sure you won’t slip while on the elliptical’s even-treaded pedals. Lightweight – even during your most intense elliptical workout, these shoes are lightweight enough to stay comfortable (yet still supportive)! Sizing – ASICS Gel-Venture 6 Running Shoes are not true to size. They tend to be more narrow than regular shoes. Brand – while ASICS is a well-known brand, they are said to try and update their shoes every year. This means altering some of their “tried-and-true” models, which some say have made these Gel-Venture 6 shoes less comfortable and durable. Overview: Reebok is a well-known brand in the fitness industry. A subsidiary of Adidas since 2005, Reebok shoes mix versatility and dependability. Their Print Prime Runner Sneakers are low-top, lightweight shoes that come in multiple colors. They offer a memory-foam insole, a cushioned but flexible midsole, and a firm, supportive outsole. The Print Prime Runner Sneaker comes designed for both men and women. Comfort – these sneakers are lightweight, breathable, and supportive. The memory foam insoles are thin, providing cushioning without crowding the shoe. Sizing – these shoes are true-to-size, making it easy to find a comfortable fit. Large toe boxes – roomy toe boxes can help increase shoe flexibility and make your workout less stressful on your feet. Lack of support for heels – the sneakers may fit too high up on the heels, leading to an uncomfortable workout and the development of blisters. The overall look – while this isn’t necessarily important to everybody, some say that they do not find the Reebok sneaker to have an attractive look. Overview: The Nike Free 5.0 Running Shoe is made with a synthetic-and-mesh design and a rubber sole. Built by a well-known name in the footwear industry, these running shoes offer comfortable, roomy options in a variety of colors. These shoes offer some great activewear technology, such as Flywire cables to adapt to your stride, and flex grooves in the midsole for increased flexibility during your workout. Flexibility – a flexible midsole means you’ll have a comfortable workout! Lightweight – the design is cushioned but still lightweight, making for a natural feeling during your workout. Sizing – Nike Free 5.0 Running Shoes are not true to size. It is recommended to buy them ½ to 1 full size larger than usual. Price – while these high-quality shoes offer durability, their high-end price point makes them inaccessible for some users. Not made for long runs – some people seem to find that these do not have enough arch support or cushioning for long runs outside. However, this may not be an issue for elliptical use. When it comes to workout shoes, everybody has their own preferences. But it is extremely important to make sure that you have the right shoes for elliptical use! Believe me, your feet (and ankles and knees and hips) will thank you. 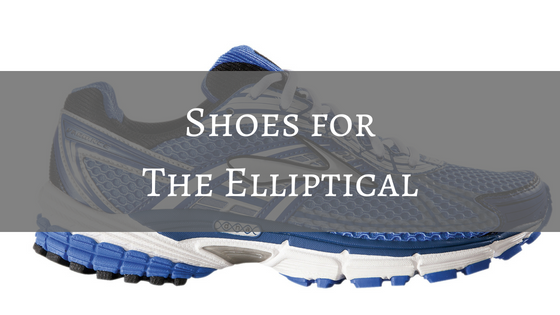 Optimize your exercise with great shoes for the elliptical. Make sure to consider the type of shoe, size, durability, flexibility, and cushioning when you’re shopping. Finding shoes that are supportive, without being overly cushioned, will help improve your workout. If it were me, I would most likely spring for the Reebok Print Prime Runner Sneakers. Built for running, they have the optimal amount of cushioning to help keep you comfortable without getting in the way of your elliptical workout. They also offer the best build. You can check out the Reebok Print Prime shoes on Amazon right here. What type of shoes are best for the stationary bike?